When I first saw the Hermès Cuff for Apple Watch I thought it looked like a great watch band but also knew that there was no way I was going to pay upwards of a thousand pounds for one. So I kept an eye on eBay, looking for third party manufacturers making similar bands. These became available for purchase about a month after the announcement so I decided to order one. The seller also had some other copies of Apple’s bands and I ordered a blue sport band, a black Milanese loop, as well as a pair of black adaptors to better match my space grey sport watch. I haven’t seen the Hermès band in real life so I can only compare against photos but this band is more or less identical in design to the Hermès version. But as you might imagine, it feels cheap. The leather is pretty thin, not particularly soft, and it’s generally uncomfortable to wear. The buckle feels like a toy from a Christmas cracker. There are some third party version that are around the £100 mark that would likely not have these issues but something I did notice whilst wearing the band, is that because of the way the band is designed my Apple Watch sits significantly higher on my wrist then when I using a sport band. I found this to be annoying and it’s possible that the Hermès version has the same problem. Apple only makes the Milanese loop milanese loop in one colour, so for someone like me with the space grey watch, my only option for a milanese loop is third party. The band I ordered is comfortable, but it does feel like it costs. There are some more expensive options available but I can’t speak for how these compare to this one. The magnet is strong, but the materials used for the band itself just aren’t that great and can get uncomfortable with continued use. 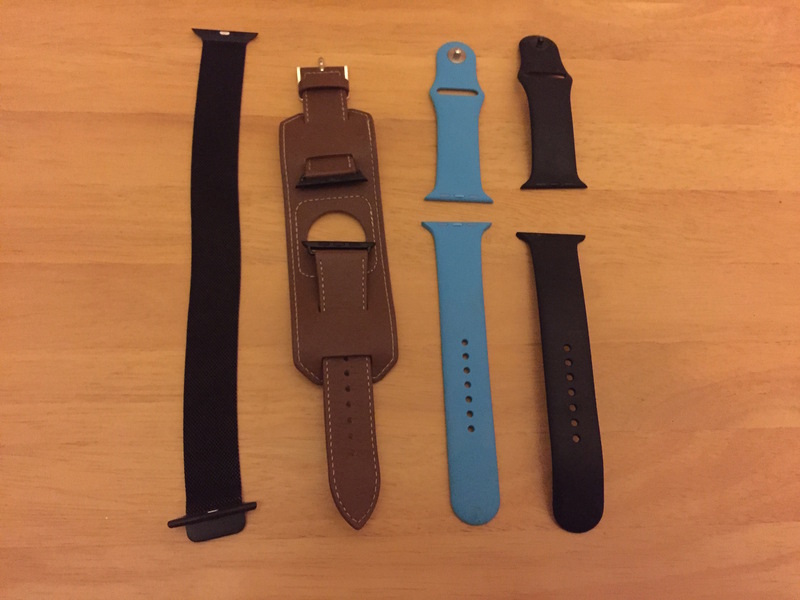 After trying the leather cuff and seeing how cheap it felt, I was surprised to find that the sport band from the same seller felt great. The design is identical in every way to the official version and feels more or less the same when wearing it. The only noticeable difference between this one and the Apple version is that Apple’s feels a little bit thicker and sturdier. The band doesn’t fit quite as snugly is the slots as it’s official counterpart, but it’s still feels sturdy. It’s just as comfy as Apple’s and at £5, it’s a bargain. These bands are fine if you want something that’s not a sport band and aren’t willing to spend out the money for the offical onces but overall, you get what you pay for. I think, as usual, Myke was right. I’m going to stick to sport bands for the forseeable future. They’re much more comfortable to wear for an extended period and that’s more important to me than anything else.